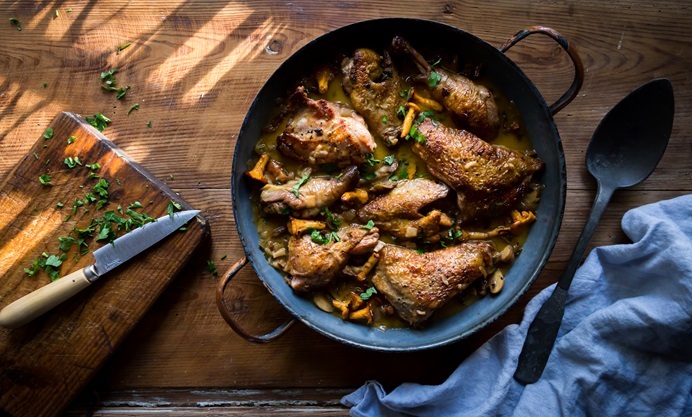 Louise Robinson's braised guinea fowl recipe is autumn on a plate. 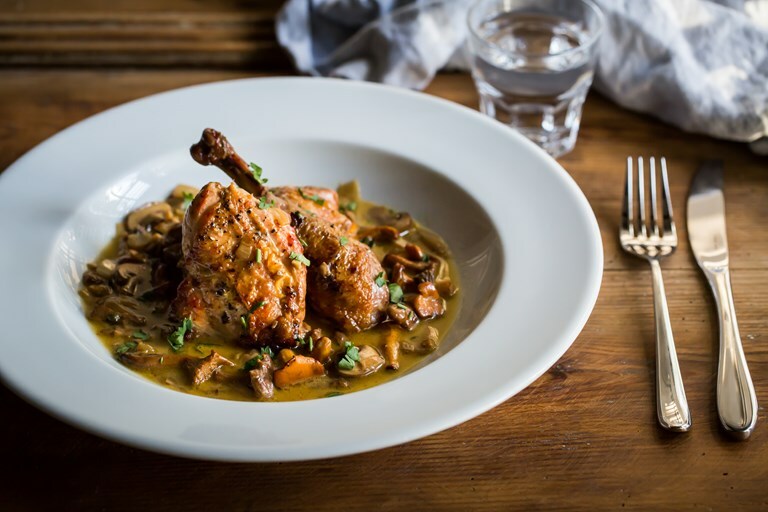 A heady mix of wild mushrooms and tender guinea fowl are complemented by the sweet and rich Marsala wine in the sauce, with a little added cream for extra richness. Serve with plenty of crusty bread to mop up all of that gorgeous sauce.